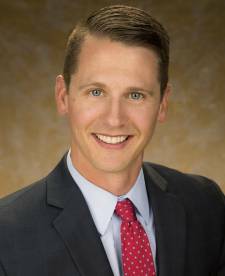 Dr. Engelen grew up in Iowa and earned his Bachelor of Science degree in Biology at Iowa State University. He then earned his Doctor of Osteopathic Medicine at Kansas City University of Medicine and Biosciences, followed by a transitional internship at Naval Medical Center Portsmouth in Virginia. Following internship, he served as a Lieutenant in the Navy and operated as the medical officer for 1st Battalion, 6th Marines in Camp Lejeune, North Carolina and for a deployment to Afghanistan. He subsequently completed the Undersea Medical Officer Course at the Naval Undersea Medical Institute. Dr. Engelen completed a residency in Physical Medicine and Rehabilitation at the University of Utah and most recently completed a Fellowship in Sports Medicine at the University of Pittsburgh Medical Center in Pennsylvania. He has served as a Senior Undersea Medical Officer at the Naval Health Clinic in Charleston, South Carolina and Battalion Surgeon for Second Amphibious Assault Battalion. Dr. Engelen received the Navy and Marine Corps Commendation Medal-Meritorious as a Medical Officer. He was also awarded the Combat Action Ribbon-Commendation for the performance of his medical duties under fire during a combat operation in Afghanistan. He has actively supported the athletic community by serving as a team physician for Norwin high school and California University of Pennsylvania. He has provided event coverage for the US speed skating team, US junior freestyle aerials, Salt Lake Marathon, South Jordan Marathon, and the Pittsburgh Marathon. Dr. Engelen is currently serving as the team physician for West Jordan High School. Dr. Engelen is a member American Medical Society for Sports Medicine (AMSSM), American Academy of Physical Medicine and Rehabilitation (AAPMR), and the Wilderness Medical Society (WMS). In his leisure time, Dr. Engelen enjoys spending time with his wife and three children. He also enjoys mountain biking, road biking, crossfit, and alpine skiing.